Smoked pork knuckle with beans sauce, used to be an army delight. This is a dish that celebrates the national identity and struggle over the difficult years. Of course there are noticeable differences in the way it is prepared in various regions of the country. 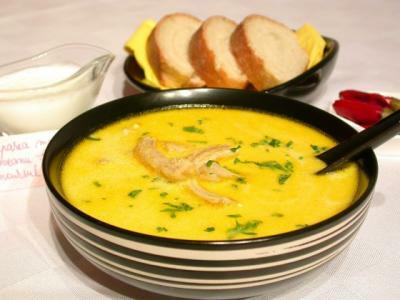 But the bean soup remains one of the core foods in Romanian cuisine. In the South, bean soup is prepared with several kinds of vegetables added; in Moldova it is flavored with dill or tarragon; in Transylvania, it is thickened with flour cooked in oil and with sour cream, with some vinegar added to it. Secret: This dish is accompanied by onion salad (ceapa), and the Ţuică (the Romanian plums spirit) helps to create the perfect mood. The taste will be even more delicious if the dish is prepared in large quantities (like in the army). A soup that you won’t forget if you are courageous enough to taste is the tripe soup. You’ll either love it or hate it. According to the famous Romanian journalist Radu Anton Roman "it’s sour and sweet, hot and velvety, fatty but delicate, eclectic and simple at the same time". Besides tripe (which is calf stomach cut into strips) this soup contains carrots, cabbage, celery roots and beef hocks. 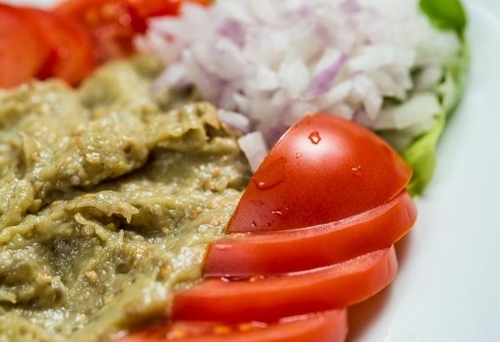 Despite its French name, this food is traditional in Romania, and it originates from the Salade a la Russe or Russian salad (the version for the fasting period when the meat will be halted). 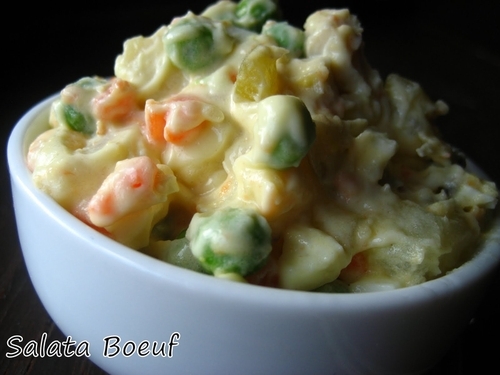 The Romanian beef salad consists of boiled and cubed carrots, parsley roots, eggs, potatoes and beef, enriched with pickles and peas, and mixed with mayonnaise and mustard. You don’t have to like eggplant in order to love this salad! This is a very tasty one, easy to make and very appreciated. It is tastier if the eggplants are grilled on a smoky outdoor barbecue. The grilled eggplant is peeled and chopped, then mixed with onion and mayonnaise. 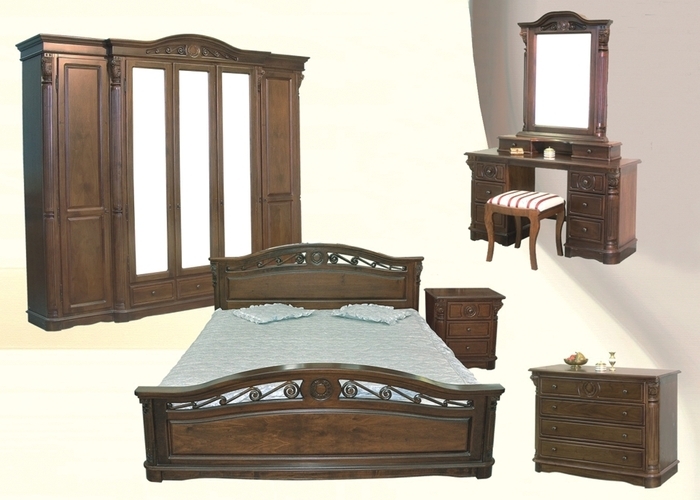 Now, this is the kind of thing that you can buy it and bring it home as present! It is a traditional vegetarian cooked meal, usually prepared in early autumn and bottled in jars. 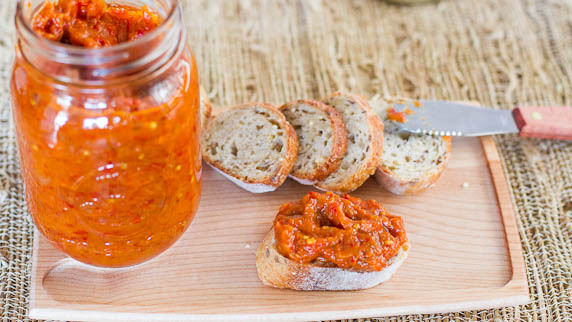 Romanians serve it spread on a slice of bread during Advent, in the fasting period before Christmas. The tastiest is cooked from grilled eggplants and red peppers using an outdoor barbecue. Anywhere you’ll stop to eat you’ll find fresh and delicious foods. Romanians like to cook and good food has always been a part of their culture. Traditional Romanian dishes are neither elegant nor fancy, but surely, they are very tasty! If not, you may consider creating on. It's FREE!